November 20th, 2015. 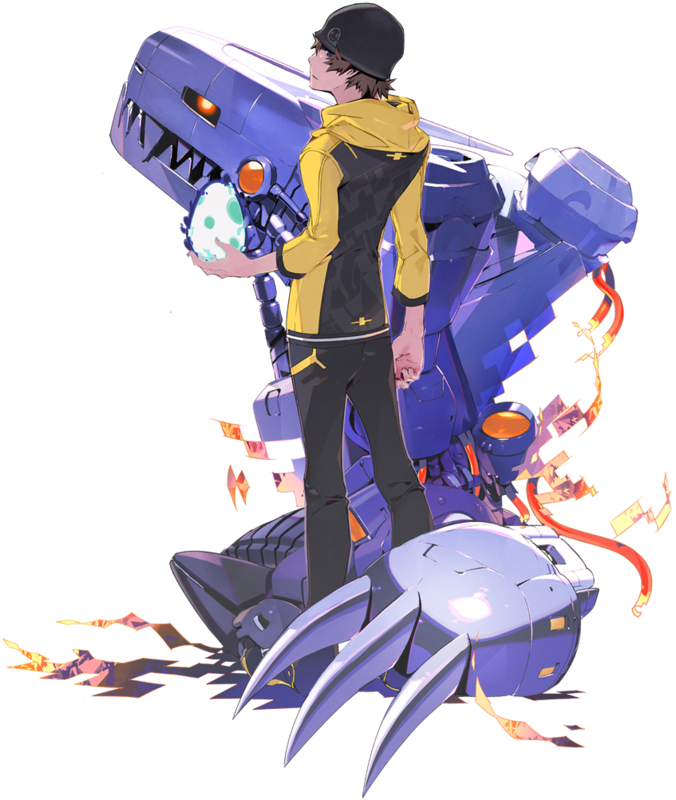 The Digimon World -next 0rder- title site has updated with the profile of the game's latest character, the unidentified young man theorized to be Digimon World's protagonist. (Known as "Analog Boy" and "Hero" in fan circles.) Previously introduced in this month's issue of V Jump magazine alongside the "EXE"-Volution system, the character remains unnamed, but is evidently partnered to Mugendramon. Digimon World -next 0rder- will launch in Japan on the PlayStation Vita in 2016.